Ebtedaiye & PSC Primary exam will be started from 18 November 2018 and it will be continued ended on 26 November 2018. Ebtedayee Exam Routine 2018. Ebtedayee Exam Routine 2018 and PSC Exam Routine 2018 has been published. 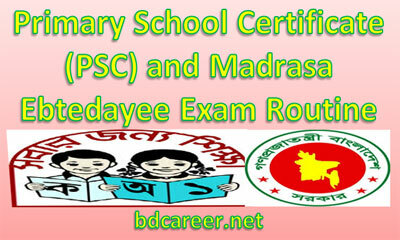 Last year PSC Primary School Certificate (PSC) and Madrasa (Ebtedayee) exam was started from Sunday 19 November 2017 and it was continued ended on 26 November 2017. Here Ebtedayee total subjects are 6 like English, Bangla, Bangladeshi & Bishwo Porichay & Science, Arabi, Quran & Taj be and Aqaid & Fiqah, and Mathematics. PSC total subjects are 6, like English, Bangla, Bangladeshi & Bishwo Porichay, Primary Science, Religion & Moral Education, and Mathematics. The exams will start from 18 November 2018 and will continue to 26 November 2018. This year these exams would start at 10:30 instead of 11:00 am and end at 1:00 pm. Children with special needs would be given extra 30 minutes instead of previous 20 minutes. 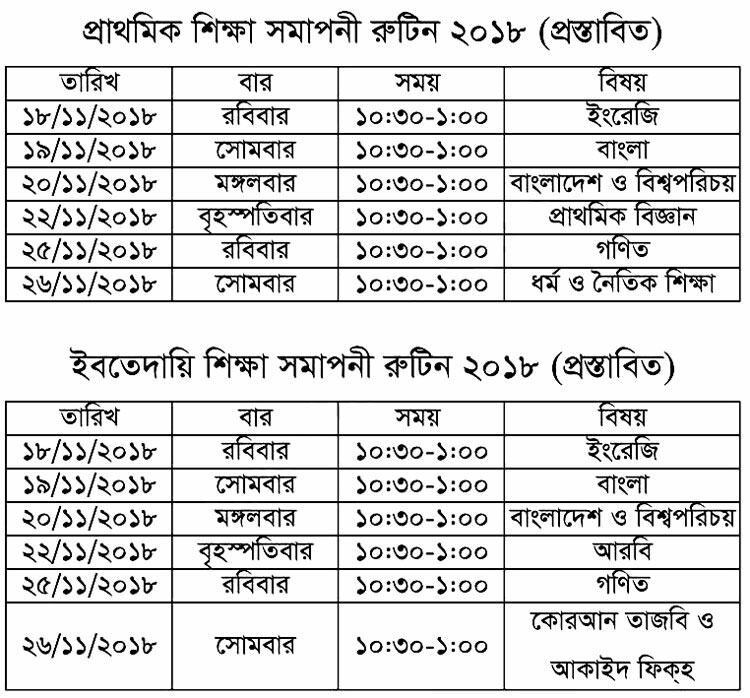 This year, the examination will be evaluated at the upazila level.